The Castillo Valle range is rich in heritage and reflects regal power. A collection of 5 stylish, varietal wines sourced from Chile. Offering a mature feel to suit a more discerning pallet. The full-bodied flavour and stylish gold labelling gives these wines a prestigious, almost regal feel that will have you dreaming of far away castles steeped in the valleys of Chile. The range of white wines includes Sauvignon Blanc, Chardonnay and a Merlot Rose, which are light, fruity and crisp. 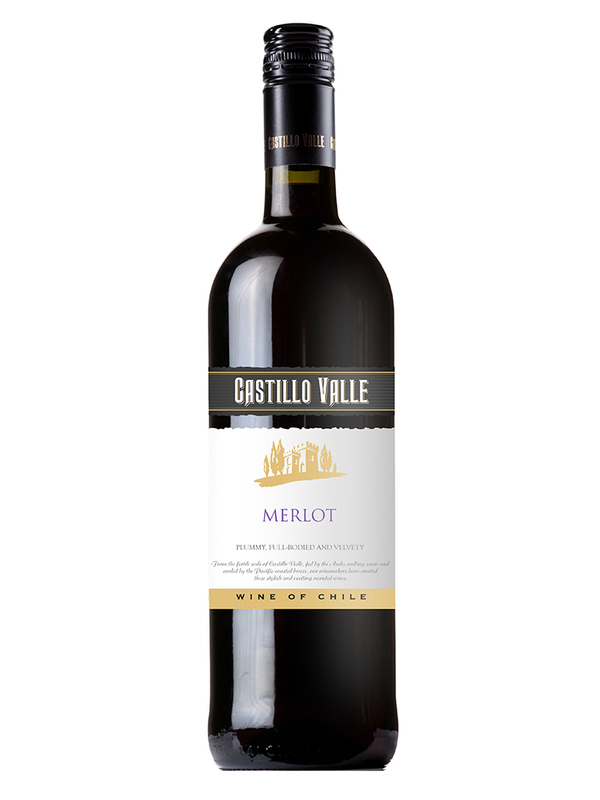 The red wines selected are Cabernet Sauvignon and Merlot, both are well-bodied and perfectly rounded. All of these wines can be enjoyed with meals but are just as easy to drink on their own on any occasion. Take a closer look at the range below. This wine displays a pale yellow colour that is indicative of the protection from oxygen that characterised the winemaking process. With a deep and beautiful ruby red colour. The nose seduces with a beautiful range of aromas of dried fruit like plums and figs. On the nose, the first impression is spicy, followed by ripe blackcurrant and blackberry aromas and a light touch of mint.